Home to more grape varieties than any other country, Italy’s wine diversity is often described as ‘endless’. This unique abundance is being embraced by growers and producers across the country as they look to revive forgotten indigenous grape varieties and capitalise on the exciting possibilities they offer. 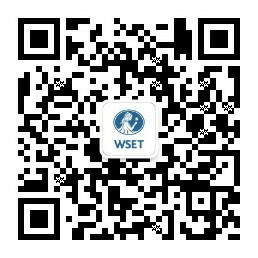 Next week, WSET will be speaking at Wine2Wine in Verona, on developing and implementing successful export strategies. Helping producers to communicate to international buyers about their unique offerings outside the better-known varieties. So beyond the cornerstones of Pinot Grigio, Nebbiolo and Sangiovese, which Italian grapes are starting to make an appearance on international shores? We’ve rounded up a few below. You’re most likely familiar with Nebbiolo (Barolo), Sangiovese (Chianti), Lambrusco and Primitivo but what other black Italian grapes should be on your radar? Not to be confused with an iced drink, this black grape finds its home in Sicily in the south of Italy. It is celebrated for its light body, low tannin and fresh aromatic berry fruit and floral characteristics, which stand in contrast to the other powerful full-bodied reds of southern Italy (think Nero d’Avola, Aglianico and Primitivo). Frappato is most commonly found blended with Nero d’Avola, contributing desirable freshness. Difficult to pronounce, much easier to drink. Ciliegiolo is grown in central Italy and thought to be a relative of Tuscany’s favourite grape, Sangiovese. Certainly its wines often share sour cherry and bright red fruit flavours, but you’ll find Ciliegiolo to be a rounder and less structured wine than Sangiovese. Often appearing in blends, including Chianti, Ciliegiolo is also made into single varietal wines suitable for immediate consumption. This small black grape whose name translates as ‘small female bird’, was saved from obscurity in the 1980’s by the renowned Masi winery. A historical grape from the Veneto, Oseleta is primarily used in Valpolicella blends and is celebrated for bringing structure and spicy aromas to Valpolicella, Ripasso, Amarone, and Recioto. While less common, it can also be found in single variety form. Often overlooked for their black counterparts, Italy boasts a huge diversity of white grapes and wines, from the ever popular Pinot Grigio to the more distinctive Cortese (Gavi) and Garganega (Soave) through to Glera (Prosecco). But as with black grapes, Italy has much more to offer. Grown in Italy since at least the sixteenth century, Erbamat has only recently found favour with the sparkling wine producers of Franciacorta in northern Italy. Recognised for its late ripening and acidity retaining qualities it is now being used alongside Chardonnay and Pinot Noir in the production of some of Italy’s finest traditional method sparkling wines. If you’ve visited Ischia on holiday and had a glass of the local white, you were probably drinking Biancolella. Its wines are full of flowers, herbs and fresh fruit flavours that will have you reminiscing about the southern Italian coast long after the holiday has ended. They can be wonderfully complex, but equally hard to find abroad! Is it a grape? Is it a cheese? In this case it happens to be a name given to both. Legend has it that the grape was a favoured delicacy of the local sheep population, thus the name. Grown in central Italy, notably the Abruzzo and Marche regions, the Pecorino grape produces a fresh, dry, citrus-flavoured white wine - without any hints of cheese. Keen to know more about the wines of Italy? Italian wines are covered in all WSET wine qualifications. Visit our qualifications page to find out more. This article was prepared as part of WSET’s involvement with Wine2Wine 2017.